Uggie The Artist breathes fresh life into the dissonance of modern cinema by reliving the cinematic excellence of golden era. Sound; sometimes is but noise in the scheme of a screenplay that speaks for itself. The Artist showcases the bygone era in a light that is enigmatic & endearing; enchanting & entertaining! Weaved with a dream like essence, the movie outlives the details, paying a tribute to silent era with an eloquence of silence. This film may be silent, but it is making emphatic cinematic noise this year at the Oscars! Transcending the need for dialog, The Artist paints a canvas for itself through impeccable performances by the actors. Dujardin plays George Valentin, a star of the silent movies who is pushed to obscurity with the advent of sound in Hollywood. With pictures getting a voice, his life, professional and personal, undergoes turmoil. All he has is the affection of a rising star Peppy Miller (Bérénice Bejo) and his faithful dog, Uggie. 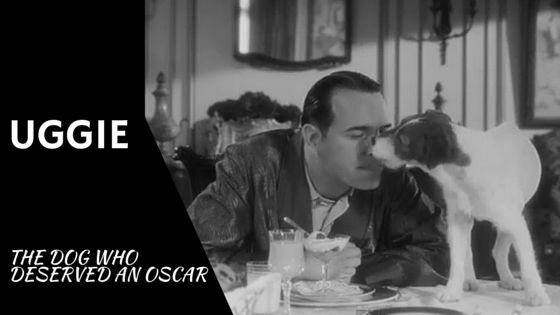 Uggie, the canine star from silent movie ‘The Artist’ has hit the right notes when it comes to delivering a power-packed performance that has raged a rally favoring recognition of animal performances in award ceremonies. Having already won the Golden Collar top dog (best dog in a theatrical film at the Golden Collar awards), he is raring to woo audiences at the Oscars. The canine star was the focus of a campaign called “Consider Uggie” appealing for him to win an honorary Oscar nomination of his own. Uggie went on to win the Palm Dog Award at the 2011 Cannes Film Festival, the 2012 Golden Collar Award, and received a special mention at the Prix Lumière Awards, the French equivalent of the Golden Globes. PS Uggie has died 🙁 He was aged 13. To think of it, the superstar dog Uggie was rejected by two owners and on his way to the pound before his human Mueller took him in. Along with his starring role in “The Artist,” Uggie appeared in “The Campaign,” “Water for Elephants” and “Mr. 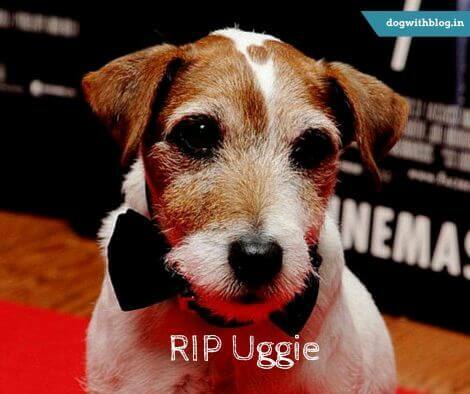 Fix It.” RIP Uggie, for us you’d always remain an Oscar winner! Great review. ‘Artist’ is a celebration of cinema. Beautiful is the word. I can’t wait ti catch this one! Thanks Deboshree:) Do watch the movie ASAP! In this wonderful film, Uggie presented an eloquence beyond words which is, of course, the very point of the movie. Thank you for celebrating his talents here, and saying it so well!!. Pingback: Why no Nobel Peace Prize for Zanjeer the Dog?